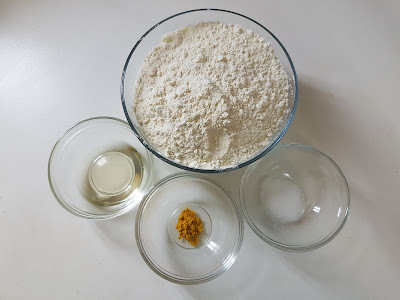 How to prepare Maharashtrian Style Puranpoli. 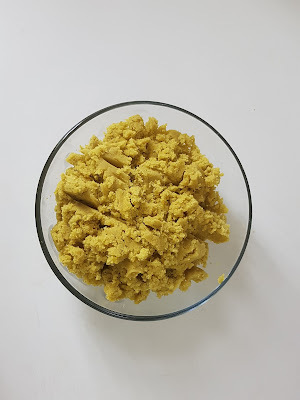 Today's recipe is my favorite one and its identity of Maharashtrian cuisine that is Puranpoli. India is a land of diverse languages, food and culture and when you visit any Indian household, and you won't be able to leave without being served a traditional variety of food. 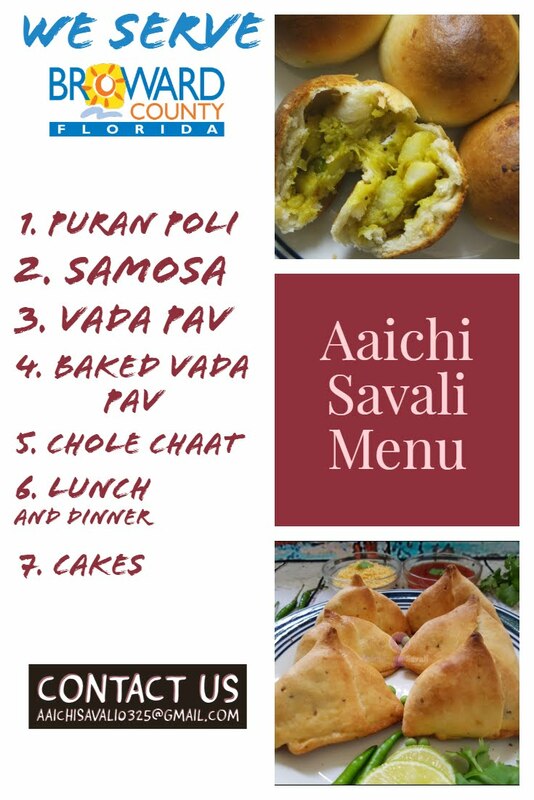 So today's recipe of Puranpoli is one of top Indian sweet flatbread recipe and which prepared during Dasara, Diwali, Ganesh Chaturthi, Holi or any other festive occasion. In wheat flour rotis with a delicious, sweet and aromatic Puran stuffing in the middle. The Puran which is made with a mixture of boiled, mashed chana dal cooked with jaggery and cardamom powder melts as it hits your tongue. With a dollop of ghee as it is known in Marathi. In Marathi the sweet filling is called as Puran and bread is called Poli. Let's celebrate this Dasara by preparing this delightful, aromatic and mouth-watering Puranpoli. 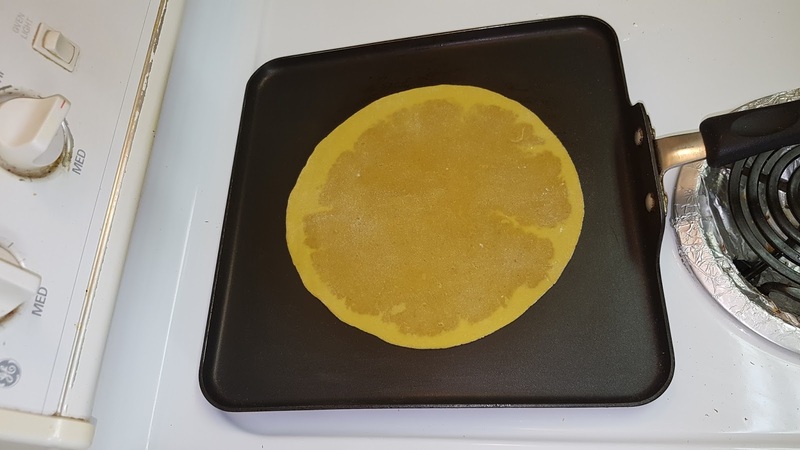 Each Puranpoli Contains 222.6 kcal. In a mixing bowl add wheat flour, salt, turmeric powder and ghee / oil and knead into a soft dough using enough water. Drizzle some oil over dough, cover and keep aside. 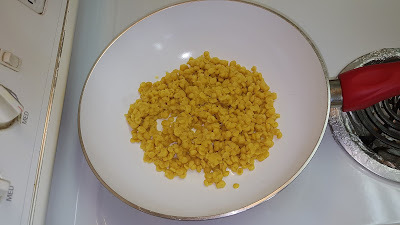 Clean and wash chana dal and soak in water for about 1 to 2 hour. Dissolve the saffron in a 2 tsp water in a bowl, mix well and keep aside for 15 to 20 minutes. well and pressure cook for 4 to 5 whistles. Allow the steam to escape before opening the lid. continuously and mashing at regular intervals. 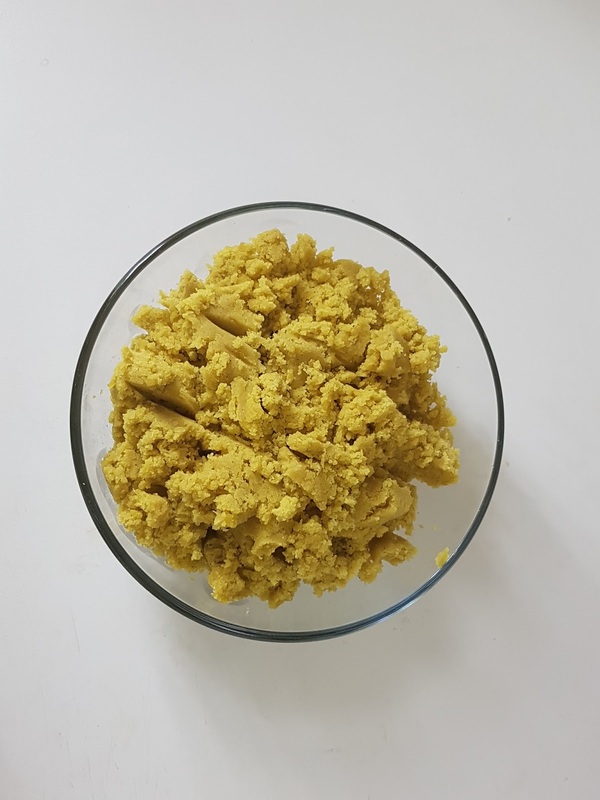 Now, turn off flame, cool puran slightly, place it into grinder and grind it to make fine consistency and divide it into equal portions and keep aside. 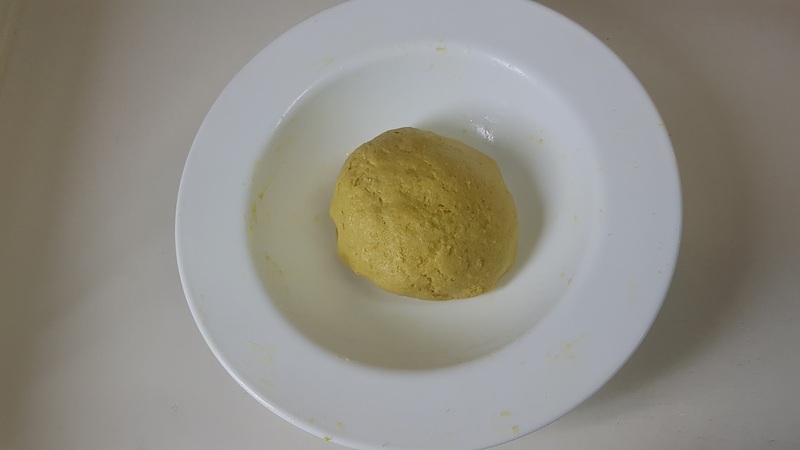 Divide dough into equal portions and take one dough ball, roll out one portion of the dough into a 4 to 5 diameter circle using a little whole wheat flour for rolling or you can roll dough by using fingers as shown in video. Place a portion of the filling in the center and fold the edges of the dough over the filling. Pinch the edges together to seal the filling. Cook on a tava over a medium flame, till it turns golden brown in colour from both the sides by smearing ghee or oil. Repeat with the remaining dough and make more puran polis. Smear a little ghee on each puran poli and serve hot. Here, delicious, aromatic and authentic Maharashtrian Puran Poli is ready to serve. Serve hot with milk, ghee. Enjoy!!! 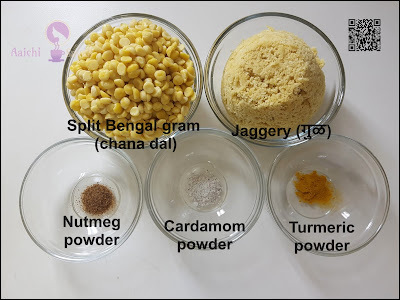 You can also use toover dal (turdal) to prepare filling. Jaggery can be replaced by using sugar. Instead of wheat flour, you can use all purpose flour / maida or half wheat flour and half all purpose flour can be used to prepare the poli. While rolling the Poli, be careful, if you are making first time you can use rice flour to roll Poli. If Dough formed is hard then keep it covered for an hour or two. 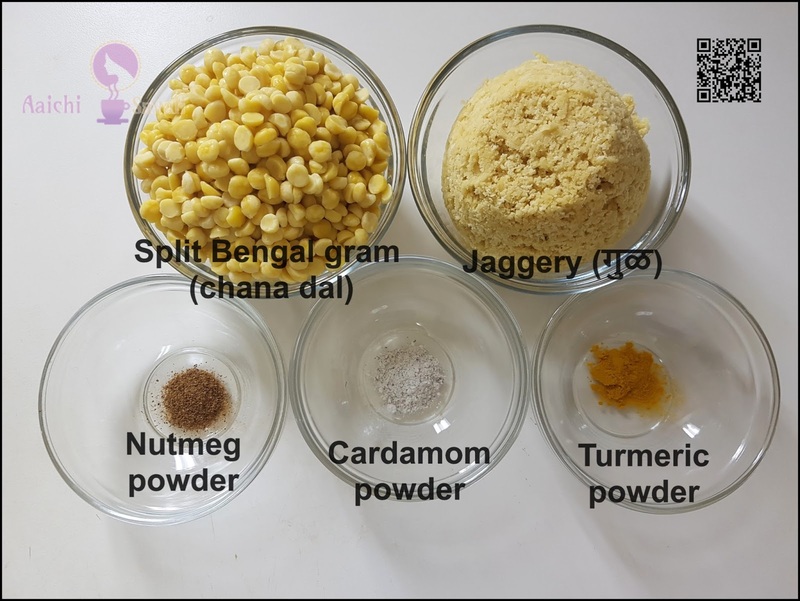 If the channel dal and jaggery or sugar mixture isn't uniform, first grind it to make a smooth Filling and then dry it in a pan. When rolling the Poli, do it with a light hand such that it moves with ease. Per serving contains 222.6 calories, along with carbohydrates - 38.01 g, dietary fibers - 4.95 g, fats - 4.93 g, proteins - 6.43 g.
It helps to flush out toxins from body, it acts like a detox. Boost Immunity - It is loaded with antioxidant and minerals which helps to protect against infection. Purifies blood - benefits of jaggery is its ability to purify the blood. When consumed on a regular basis and in limited quantities, it cleanses the blood, leaving your body healthy. Anaemia - Jaggery is rich in iron and folate which help prevent anaemia by ensuring that a normal level of red blood cells is maintained. This is especially beneficial for pregnant women. Chana dal is packed with minerals like manganese, magnesium, phosphorus and thiamine. Manganese increases your energy levels and also boosts your overall immunity. 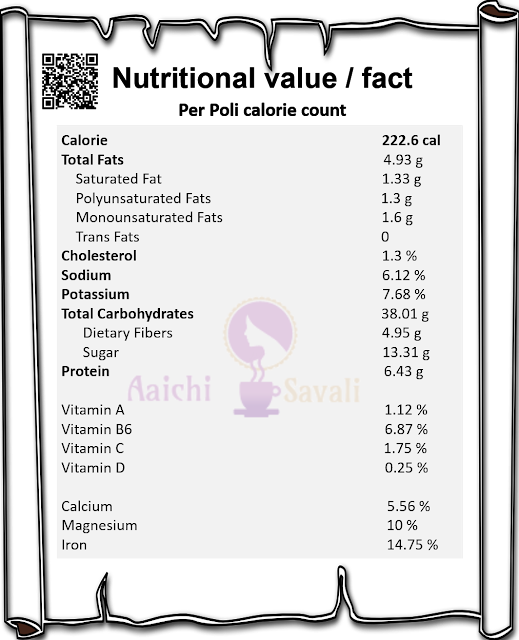 Diabetes : Chana dal has a low glycemic index, which makes it good for diabetic patients. High fibre content along with high protein and iron also helps in managing the blood sugar level. Digestion : The high fibre content in chana dal keeps all kinds of digestive disorders at bay, thus keeping the digestive system healthy. High fibre and high iron content found in chana dal reduce the risk of bowel complications like constipation. Anaemia : Chana dal is an extremely rich source of iron. It helps in preventing anaemia. So, people at a high risk of anaemia, women (pregnant, lactating and menstruating) and growing children should include chana dal in their daily meals. 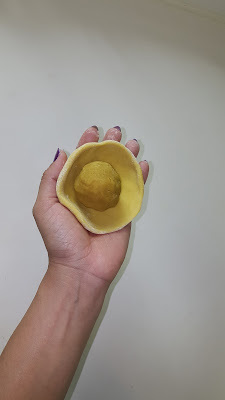 It is good to eat Puranpoli for lunch or as a brunch.